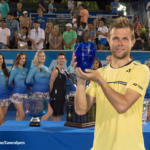 The 6th annual COLUMBUS DAY OPEN hosted by the City of Delray Beach, (October 12 – 14, 2019), is organized by Players International Management (PIM), the staff that hosts the Delray Beach Open (the world’s only combined 10-day ATP World Tour Event and ATP Champions Tour Event). The event consists of over 250 of the best juniors in the country, competing in the Boys’ & Girls’ 12s, 14s, 16s and 18s age divisions – one of the USTA’s largest Level 2 nationally sanctioned events. Click here for draws, results and match times and if you have any questions, feel free to call 561.330.6003. The doubles deadline is Thursday, Oct. 3, 2019 @ 5pm. If you have a partner, both players must agree to play with each other, please email the team (and division) to Adam Baron at ABaron@YellowTennisBall.com (make sure to get a confirmation email). If we do not hear from you before the deadline date, we will NOT place you in the doubles draw. If you do not have a partner, and would like to be paired with another player, please email ABaron@YellowTennisBall.com (make sure you receive an email confirmation)– we will do our best to pair you with another player (with a similar ranking). Format: Single-elimination draw consisting of a 8-game Pro-set with NO-AD scoring. There will be a 3/4 Playoff in doubles. IMPORTANT: Doubles take place BEFORE their singles matches on Day 1 and 2. Make sure to double-check your start times and site abbreviations. In addition, a player can only play doubles in the same division as they are playing singles. MATCH SITES: Held at multiple facilities. PLEASE GO DIRECTLY TO THE SITE THAT YOU COMPETE AT (check the initials on the draws) & check in 20 minutes before your match time. FORMS: Please check in 20 minutes before your match time as everyone MUST fill out a Medical Release Form and a Player Contact Form before playing their matches. Please print, fill out the forms and bring them with you to check in. If you cannot print them (Medical Release & Player Contact), we will have forms available when you arrive. DRAWS. Singles (32-draw), Doubles (16-team). Singles and doubles draws/times will be posted online on Wednesday, Oct. 2nd, 2019 @ 6pm. Remember to check doubles draws, as all divisions will play the doubles 1st round before singles matches take place. LEVEL 2 – SELECTION PROCESS FOR ENTERING CONCURRENT EVENTS: Click for rules. WILDCARD INFO. : There are no Wildcards for this event. SINGLES FORMAT: Feed-in consolation draw (through the Round of 16). Quarter-final losers will be fed into a separate consolation draw to playoff for 5th and 6th place. Semi-final losers will playoff for 3rd and 4th place. All singles matches are best of three tie-break sets with a 10-point tie-breaker in lieu of 3rd set (includes AD-scoring). Maximum matches per day: Four matches per day as long as two of four matches are doubles… Exception: Three singles matches may be played in special circumstances (ie weather). *For best of 3 tiebreak sets, players may get up to two hours rest. *For matches consisting of a 10-point match tiebreak for the 3rd set, players get a minimum of 1 hour rest (up to 1.5 hours). *Doubles to singles, players get 30 minutes rest. *Doubles to doubles, players get 45 minutes rest. TRAINER: Athletic training services will be available throughout the week, based at Delray Beach Tennis Center and Boca West Country Club. If you need their assistance, please go to those facilities to make arrangements. If you have specific treatment needs or any questions related to sports medicine that you would like to address prior to or during the tournament, please feel free to contact the head trainer, Raphael Patino, patino.raphael@gmail.com or (954) 651-0655. We look forward to working with you and good luck! RESIDENCY. Players entering this event must have their residency papers on file at the USTA Florida Office – click for details. HITTING LESSONS: Delray Beach Tennis Center (201 West Atlantic Ave., Delray Beach). Limited availability. For information, call 561-243-7360. STRINGING: Stringing is available at select tournament match and practice sites and at local tennis retailers. See the complete list posted wherever you are playing. ALTERNATE PROCEDURE. Based on National Standings List. 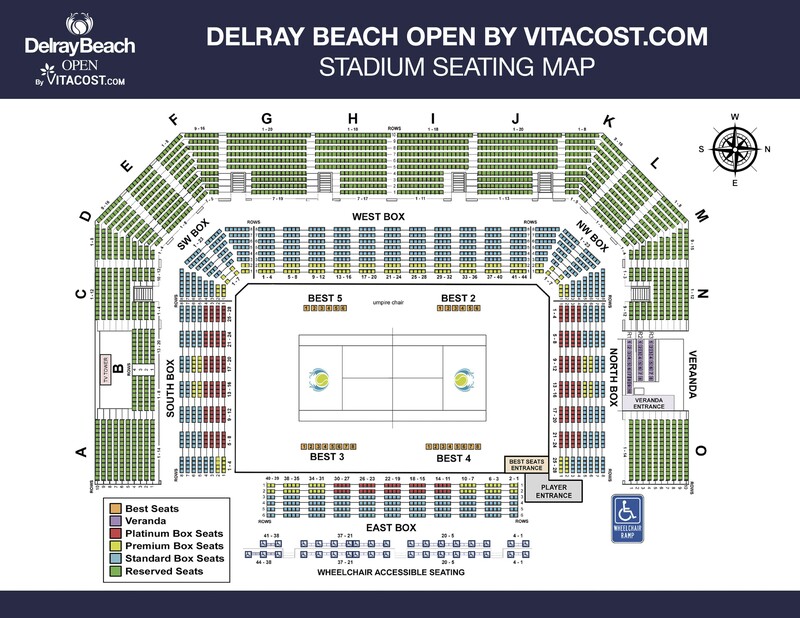 DELRAY BEACH TENNIS CENTER (DB) (561-243-7360) 201 W. Atlantic Avenue, Delray Beach, 33444. Directions: From I-95 Exit Atlantic Ave., head east, Tennis Center will be 1 mile on left. If you have any questions before Oct. 12, call 561-330-6003. Beginning Oct. 12, call Site Director @ 561-330-6003. Practice court availability: See below. (Back-up site if have weather issues) DELRAY SWIM & TENNIS CLUB (DS) (561-243-7058) 2350 Jaeger Drive, Delray Beach, 33444. Directions: I-95 to Linton Blvd, head east 3/4 mile, turn right on SW 10th Ave, go to stop sign & take a left (Lindell), go 2 full blocks to roundabout and go left on Dotterel, go 1 block to Jaeger Drive, make left. Clubhouse on the left. For questions about either of the below sites before Oct. 6, call 561-330-6003. Beginning Oct. 6, call Site Director @ 561-929-4654 for either of the below sites. (Used if have weather issues/late matches) DELRAY BEACH TENNIS CENTER (DB) (561-243-7360) 201 W. Atlantic Avenue, Delray Beach, 33444. Directions: From I-95 Exit Atlantic Ave., head east, Tennis Center will be 1 mile on left. DAYS 1 – 2… THE CLUB AT BOCA POINTE (BP) (561-864-8529). 7144 Boca Pointe Dr, Boca Raton, FL 33433. Directions: I-95 to Palmetto (West), to Powerline & go south, community on right, go thru gate, crts on the left. Tell gate security them you are w/the USTA Nationals). If you have any questions before Oct. 12, call 561-330-6003, beginning Saturday, Oct. 12 call 954-952-7470. Practice court availability (Saturday – Sunday): 6 courts from 7 – 8am, 1-2 (8am – dark). 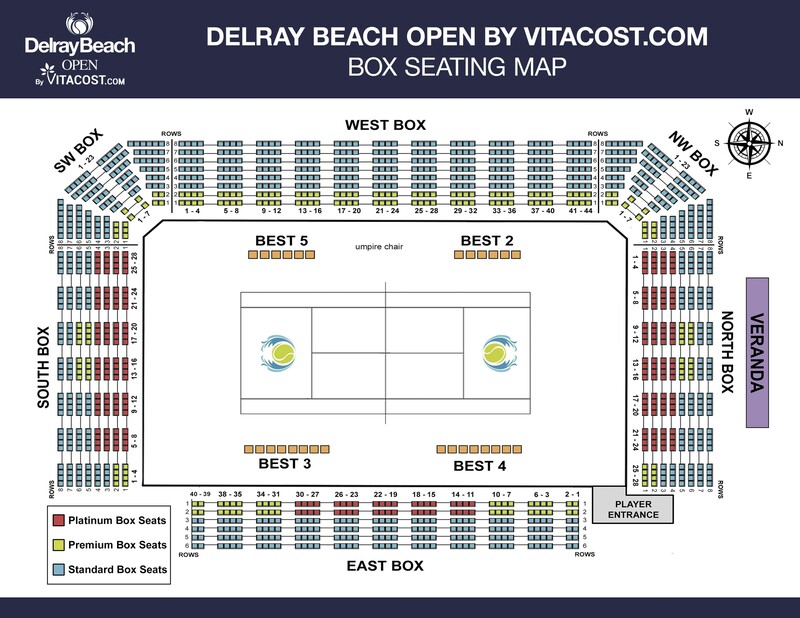 DAY 3…DELRAY BEACH TENNIS CENTER (DB) (561-243-7360) 201 W. Atlantic Avenue, Delray Beach, 33444. Directions: From I-95 Exit Atlantic Ave., head east, Tennis Center will be 1 mile on left. If you have any questions before Oct. 12, call 561-330-6003. Beginning Oct. 12, call Site Director @ 954-952-7470. Practice court availability: See below. DAYS 1 – 2… THE CLUB AT BOCA POINTE (BP) (561-864-8529). 7144 Boca Pointe Dr, Boca Raton, FL 33433. Directions: I-95 to Palmetto (West), to Powerline & go south, community on right, go thru gate, crts on the left. 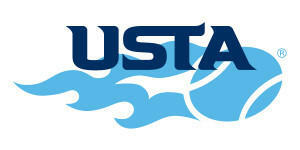 Tell gate security them you are w/the USTA Nationals). If you have any questions before Oct. 12, call 561-330-6003, beginning Saturday, Oct. 12 call 561-385-7399. Practice court availability (Saturday – Sunday): 6 courts from 7 – 8am, 1-2 (8am – dark). WYCLIFFE COUNTRY CLUB (WC). (561-641-1080). 4650 Wycliffe Country Club Blvd., Wellington, FL 33449. Players/families have access to eat on-site (lunch) in the Country Club Grille Room (credit cards accepted). If you have any questions before Oct. 12, call 561-330-6003, from Sat., Oct. 12 – Sun., Oct. 7, call 561-702-7670… on Monday, Oct. 14 call Site Director @ 561-330-6003. Practice courts (Sat – Mon): 14 (7 – 8am, 1-2 thereafter). *Directions from Turnpike (approx. 30 minutes NW of Delray Beach Tennis Center): Turnpike to exit 93 ( FL-802/Lake Worth Rd)…Go west on FL-802 W/Lake Worth Rd (signs for US-441)…Continue to follow Lake Worth Rd for about 2 miles, (cross over US-441)…Turn left onto Wycliffe Country Club Blvd into community. *Boca West Country Club: Courts are available after 11am and are 1st come, 1st serve. Players may not reserve a court pre-event, come to the pro-shop and check in. *All other match sites, call them to reserve your courts (please do not just show up and ask for a court) – two persons per court, if courts are full, four persons per court. *BOYNTON BEACH TENNIS CENTER (Clay Courts): 561-742-6575. 3111 S. Congress Ave, Boynton Beach, FL 33426. Directions: From I-95 Exit Woolbright. Head West to Congress. Turn left (going South) on Congress. Tennis club on the corner of Congress and SW 30th (on right). MUST call 24 hours in advance to reserve courts as availability is based around member bookings; PLEASE DO NOT JUST SHOW UP AT FACILITY. $10pp up to 1.5 hours. *Match sites: Courts are 1st come, 1st serve. 8+ clay courts will be available 45 minutes before the first match at the each of the match sites, as well as 1-2 courts (hard or clay) throughout the day. *Matches begin @ 8am at all sites on Days 1 & 2 except Delray Swim & Tennis Club (matches begin @ 8:15am). Day 3 match schedule pending weather on Days 1 & 2. *BOYNTON BEACH TENNIS CENTER (Clay Courts): 561-742-6575. 3111 S. Congress Ave, Boynton Beach, FL 33426. Directions: From I-95 Exit Woolbright. Head West to Congress. Turn left (going South) on Congress. Tennis club on the corner of Congress and SW 30th (on right). MUST call 24 hours in advance to reserve courts as availability is based around member bookings; PLEASE DO NOT JUST SHOW UP AT FACILITY. $10pp up to 1.5 hours. Fri (8am – 4pm), Sat. & Sun. (8am-1pm), Mon. – Thu. (8am – 9pm). City of Delray Beach (Host City) is a beach lover’s destination with one of America’s most beautiful seashores and we hope you’ll have some time to take a stroll along the warm surf. We invite you to take a leisurely walk along Atlantic Avenue, enjoy the galleries, boutiques and gourmet restaurants. 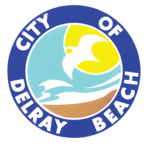 Click for things to do in Delray Beach. Vitacost.com, Inc. is an online retailer of health and wellness products, providing an award-winning experience to customers through its website, www.vitacost.com. Vitacost.com features affordable pricing and speedy delivery on nearly 40,000 items, including dietary supplements (vitamins, minerals and herbs), hard-to-find specialty foods, organic body and personal care products, pet essentials and sports nutrition products. In addition, Vitacost.com strives to motivate, educate and inspire healthier living for customers by creating and curating thousands of helpful tips, expert articles and recipes. Vitacost.com is a subsidiary of The Kroger Co.
Palm Beach Sports Commission is a private, not-for-profit organization contracted by Palm Beach County to promote and market the County as a sports tourism destination. The Commission brings sporting events and activities to the County, enhances economic impact, stimulates bed tax revenues (with a focus on the off-season), and maximizes utilization of County facilities. Dwight Global Online School — the top online school for student-athletes grades 7-12 — is proud to partner with YellowTennisBall.com Series, host to many of the most prestigious USTA events in the country, to offer qualified student-athletes a flexible, personalized schedule while receiving a world-class private school education. Dwight Global students can train, travel, and compete without missing school. With expert faculty members dedicated to personalizing the Dwight Global experience for every student, athletes are prepared to head straight to the pros or take leadership roles in top college athletic programs. If you have any questions, please call +1-212-724-2420 or email admissions@dwight.global and mention YTB Series for priority admissions assistance. We are very appreciative of all of the Host Site partners, and thank them for their support in hosting this prestigious event. Rates start at $149 (Includes Resort Fee, Wi-fi and Complimentary Self Parking or $15 Valet Parking per day) and $169 (with Breakfast for two). Tennis Center Details: Court availability for hotel guests only (18 Claycourts on-site, 12 Claycourts off-site). For hitting lessons, stringing, full-service pro-shop available, call 561.447.3141. Discounted daily court rate: $12pp per day. 7:30am – 10pm, no charge for lights. 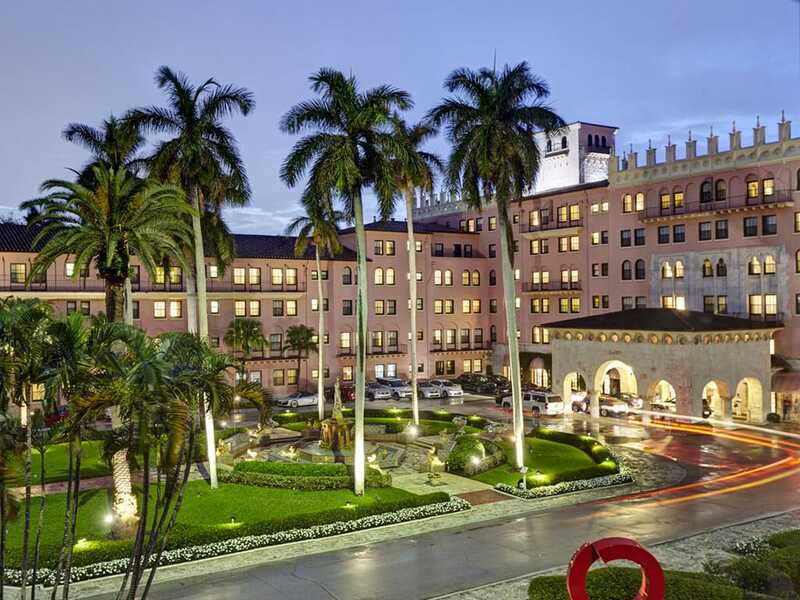 Designed by legendary architect Addison Mizner, Boca Raton Resort & Club, A Waldorf Astoria Resort has reigned as an icon of elegance for more than 80 years. Today, the resort remains faithful to its glamorous past, while radiating a vibrant energy, offering infinite amenities to every type of guest. Situated on 356-acres in fabled South Florida, this eclectic, private village offers the best of all worlds: an award-winning spa, championship golf and tennis, expansive beach and luxury marina – all just steps from your door. 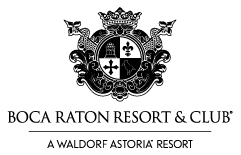 Experience Boca Beach Club, A Waldorf Astoria Resort, where the quintessential beach vacation is redefined. A unique oasis, the Beach Club welcomes guests with spacious guest rooms, dazzling ocean views, and offers infinite opportunities for enjoyment and relaxation. Immerse yourself in this truly restful beachfront haven, with stunning views of the rolling waves of the Atlantic Ocean. Stroll along the white-sand shores. Just a short shuttle ride from the renowned Boca Raton Resort & Club, this exclusive oceanfront property shares all the luxurious amenities and activities with the resort. 1950 Glades Road, Boca Raton, FL 33431 • 561.368.5200. Rates start at $119. To make your reservation: Click here. This special tournament offer rates beginning at $119.00 for a One King or Two Double bed(s); $139.00 for Pool View, One King or Two Double bed(s) accommodation or choose the Suite with a private balcony overlooking our lush courtyard and pool at only $179. Rate includes breakfast for up to two guests per room. 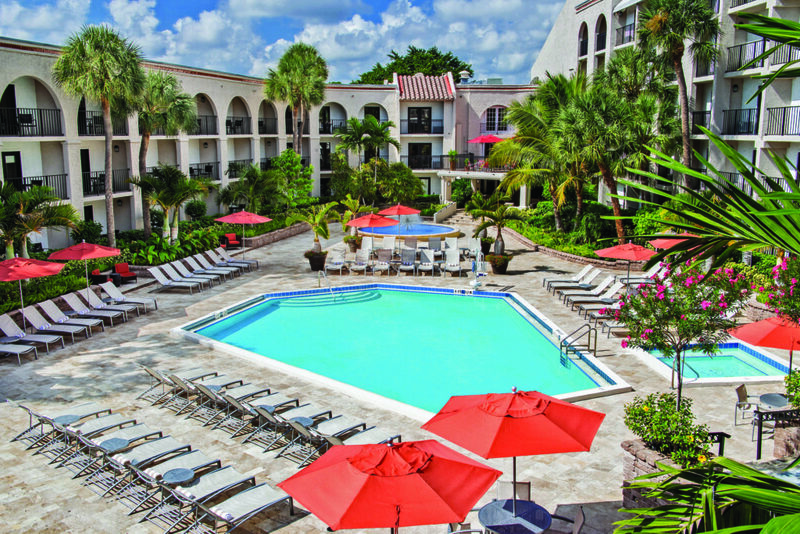 The Wyndham Hotel is a full service hotel in the heart of Boca Raton, adjacent to world class shopping and dining. It is the only area hotel that emphasizes health and wellness property-wide. We offer healthy dining options, yoga classes, 24 Hour Fitness room, a gourmet tea and coffee lounge, and a tropical courtyard where you can relax in the Florida sun and swim in our salt-water pool. All 182 comfortable guest rooms and suites are newly renovated and offer private balconies and pillow top mattresses. Located at the hotel is the highly acclaimed Farmer’s Table restaurant featuring delicious and healthy gourmet cuisine. We feature an extensive menu, offering grass-fed beef, sustainable seafood, and free-range chicken, with vegan and gluten-free options. We look forward to your visit! Reserve your stay by booking online at Wyndham.com; call Wyndham Reservations at 1-877-999-3223 or call the hotel directly at 1-561-368-5200.